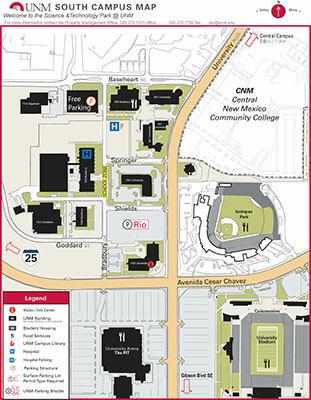 Main UNM Campus is ~0.5 miles North of CHTM, on University Blvd. At Airport exit take Sunport Blvd.WEST to I25. The CHTM building is 50 yds down Goddard on your right. Head SOUTH on University BLVD.